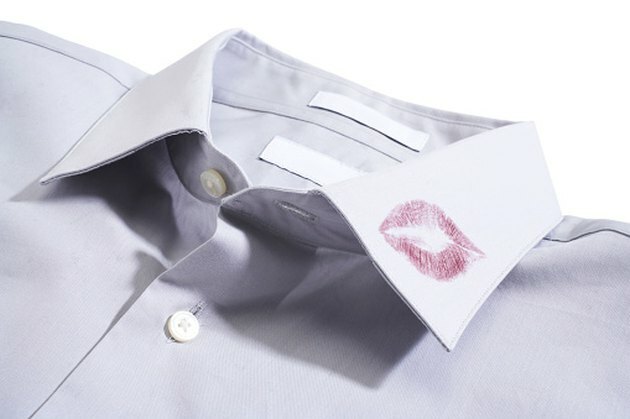 An accidental lipstick stain on a piece of clothing does not have to mean disaster. Although lipstick is brightly colored and oil-based, making it seem like a difficult product to remove from fabric, it is unlikely that the garment has been completely ruined. There are basic steps that can be taken to get the stain out quickly using products that you are likely to already have around your home. Remove lipstick stains from your clothes. Scrape any excess lipstick from the fabric with a butter knife. Scrape carefully to avoid smearing any of the lipstick onto unstained areas or damaging the fabric. Moisten a clean cloth with rubbing alcohol and gently blot the lipstick-stained area. This should help to fade the stain. 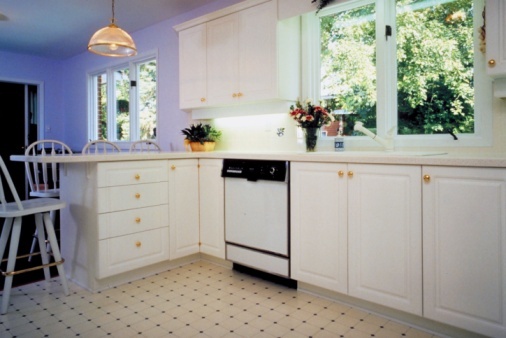 Apply dishwashing soap or a laundry stain remover to the area. Allow the product to sit on the stain for at least 10 minutes, then gently rub it into the fabric with your fingers or an old toothbrush. Consult the garment's care instructions tag, then wash the item in the hottest water allowed for the fabric. Use chlorine bleach for white items and color-safe bleach for colored ones. When the wash cycle is over, check the stained area to see if the lipstick is gone. If it is, you can proceed to dry the item. If the stain is still there, repeat the removal process a second time.